Being Green with our used Herman Miller AO2 6×6 cubicles in Detroit. Integrity Wholesale offers the widest selection of environmentally friendly office furniture solutions. We have pre-owned furniture of all sorts, from used cubicles, used executive desks, used conference tables, used seating, and much more. We’ve helped businesses across the country lower their carbon footprint. By buying from us, your business can work towards a LEED certification because by buying from us, you are promoting a sustainable environment. We work hard to make sure that as many businesses as possible have the ability to purchase excellent quality furniture—many time as good as new—so that they might enjoy a cleaner conscience and a path to tax savings through great products like our used Herman Miller AO2 6×6 cubicles in Detroit. Our warehouse facility boasts over 90,000 square feet of office space, which is illuminated by motion sensitive lighting. When part of our warehouse is unattended, the lights remain off, and energy is conserved. When someone walks in the area, the lights turn on, illuminating the area for as long as someone is working. Our facilities all use air dryers to eliminate the waste of paper towels. 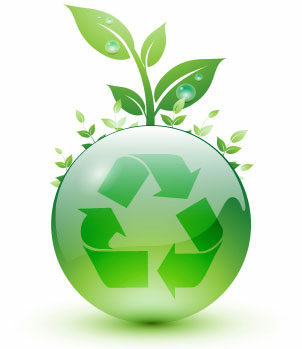 We also recycle any scrap, including scrap metal, so there is minimal waste. As a vendor of used office furniture, we practice what we preach, and we use all previously owned furnishings. We make a point to do our part as a business to eliminate waste and make the environment healthier. Green initiatives have encouraged businesses across the company to look to Integrity Wholesale’s used furniture as a solution to sustainability. By buying from us, less material goes into landfills, and less of our nation’s raw materials are used to make new office furniture. Give us a call to find out how you can save money and contribute to a more sustainable environment with our used Herman Miller AO2 6×6 cubicles in Detroit. Getting The Most Out Of Your Used Office Furniture! Educating you about Integrity Wholesale and used office furniture. Get the most of your office furniture move in Cleveland, Ohio. Buying pre-owned office furniture makes sense financially and ecologically. No Comments on "Being Green with our used Herman Miller AO2 6×6 cubicles in Detroit."